Washington -- The United States is willing to take in Rohingya refugees as part of international efforts to cope with Southeast Asia's stranded boat people, the State Department said Wednesday. Spokeswoman Marie Harf said that the U.S. is prepared to take a leading role in any multicountry effort, organized by the United Nations refugee agency, to resettle the most vulnerable refugees. 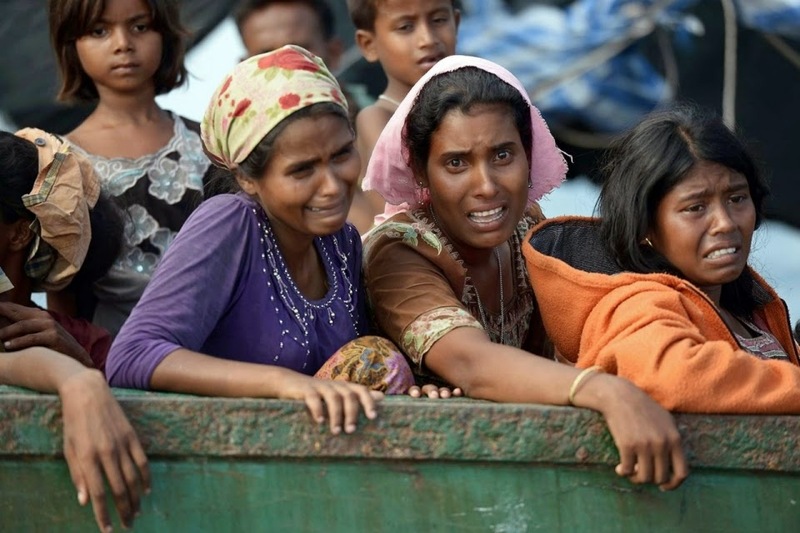 In the past three weeks, more than 3,000 people — Rohingya Muslims fleeing persecution in Myanmar and Bangladeshis trying to escape poverty — have landed in overcrowded boats on the shores of various Southeast Asian countries. Aid groups say thousands more are stranded at sea after human smugglers abandoned their boats because of a crackdown by authorities. Indonesia, Malaysia and Thailand have been reluctant to let the Rohingya in and have turned boats full of hungry, thirsty people away, because they fear a flood of unwanted migrants. But on Wednesday, they relented. Harf welcomed the governments' decision "to uphold their responsibilities under international law and provide humanitarian assistance and shelter to 7,000 vulnerable migrants." The U.S. would consider requests from the U.N. High Commissioner for Refugees and International Organization for Migration for funds to help receive and screen refugees as they come to shore. Harf said that since Oct. 1, the U.S. has resettled more than 1,000 Rohingya. "I think the Malaysians and the Indonesians have requested some help resettling people. We're taking a careful look at the proposal," Harf told reporters in Washington. "It has to be a multicountry effort. We obviously can't take this all on ourselves. But we are prepared to play a leading role in this effort." Deputy Secretary of State Anthony Blinken will visit Myanmar on Thursday and urge it to cooperate with Bangladesh to help migrants who are adrift. Harf said he would call for Myanmar to improve conditions inside the country for Rohingya. "The only sustainable solution to the problem is changing the conditions that let them put their lives at risk at the first place," Blinken, the second-ranking U.S. diplomat, told reporters in Indonesia. At least 120,000 minority Muslim Rohingya have fled sectarian violence and apartheid-like conditions in predominantly Buddhist Myanmar in the past three years. Myanmar officials refer to the group as "Bengalis" and insist they have immigrated illegally from Bangladesh, even though most have lived in the country for generations.